Introducing the brand new LIDA mirror. 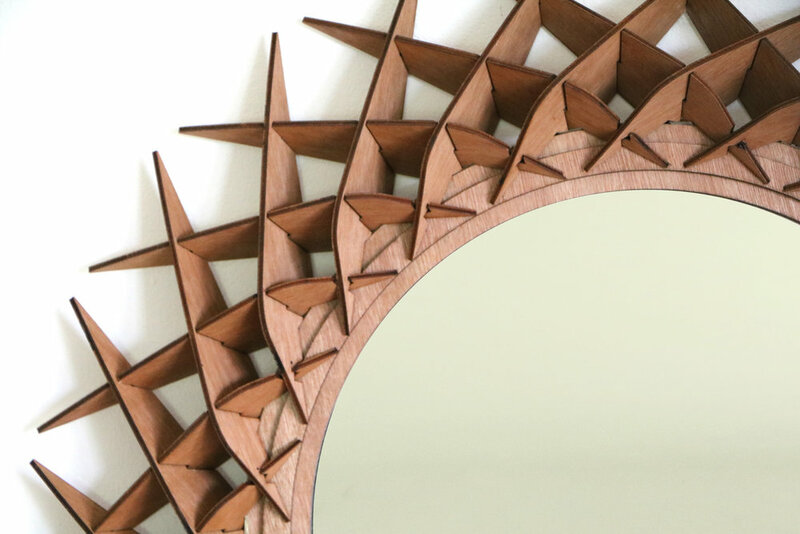 This round wooden mirror fuses state of the art design and craftsmanship with the timeless beauty of fine timber. 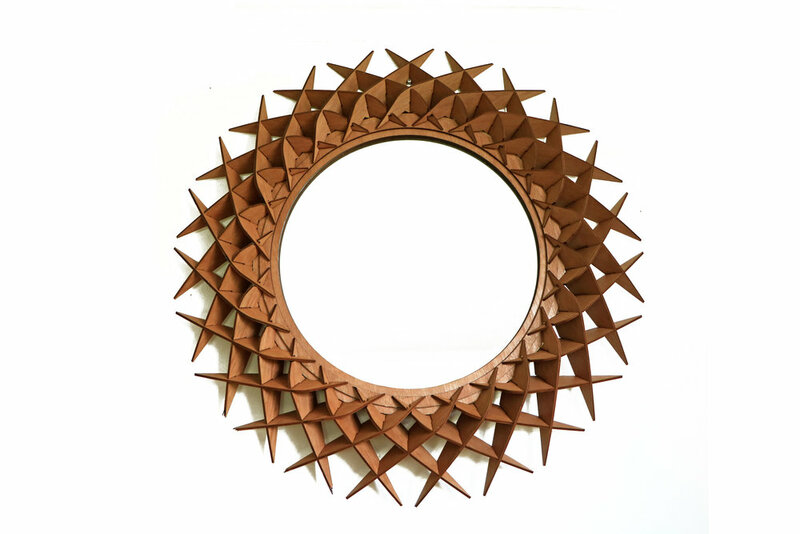 "A mandalic sunburst of geometric patterns"
Each of the 51 interlocking elements of this wall hanging mirror have been meticulously hand sanded and varnished to bring out the natural warm tones of the timber.